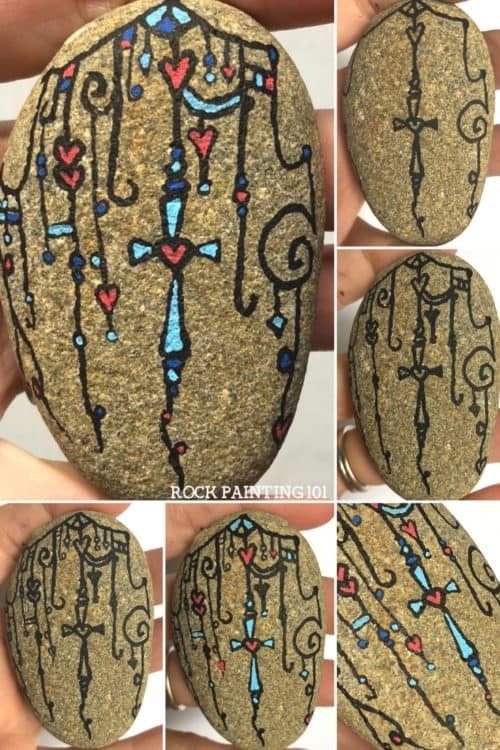 This cross rock is so much fun to create! 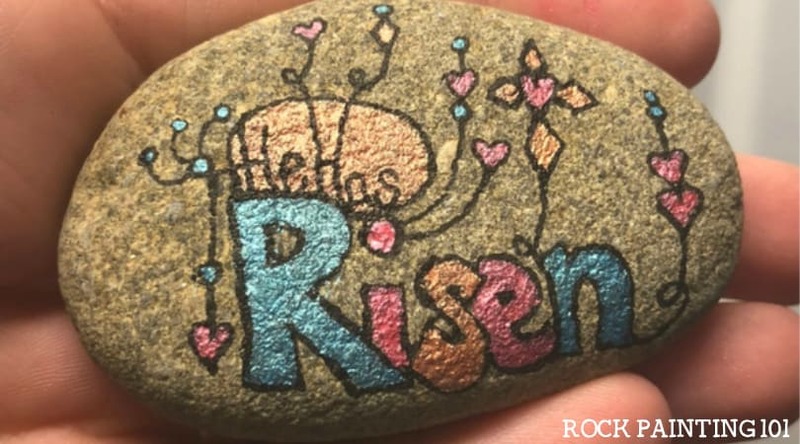 Using the simple (and addicting…) zendangle technique, this Christian rock painting idea is perfect for beginners! 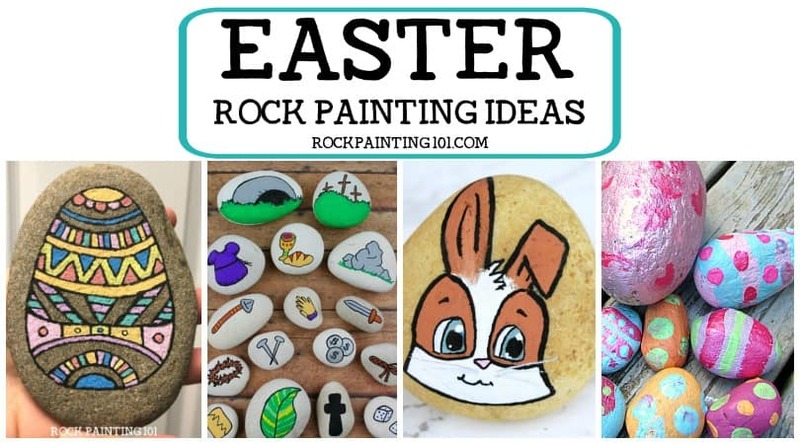 I polled the readers on my Facebook page to ask them which Easter rock they wanted me to paint on my next Facebook live. The choices were this cross rock, and the He Has Risen rock from last week. They voted to see this rock painted live, and who can blame them! 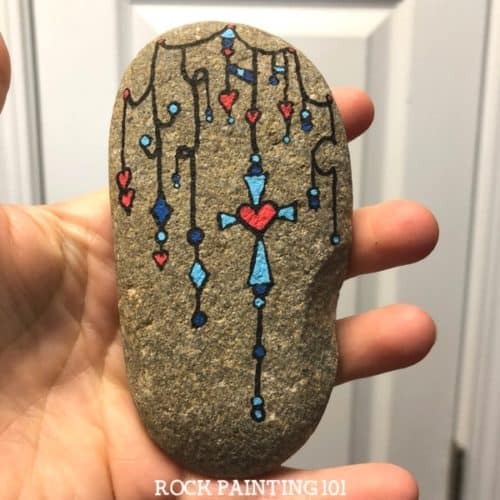 I’m in love with this dangle art and have been painting it on loads of rocks. It’s such a fun stone painting technique that is perfect for beginners. 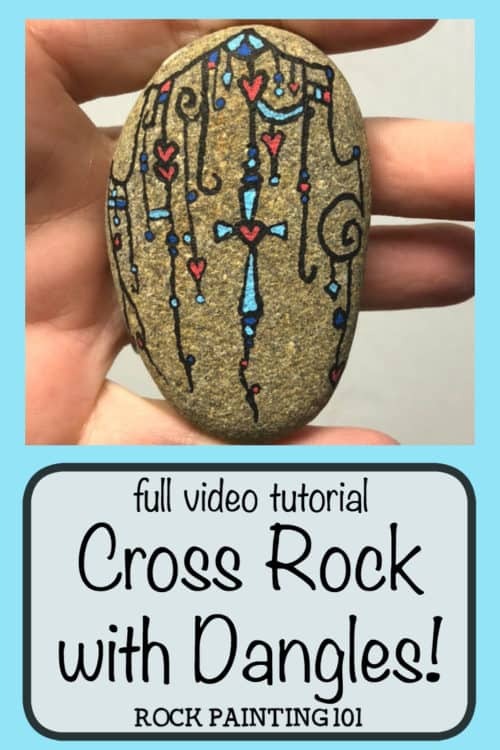 How to paint a rock with a cross! When you’re putting something specific into a dangle design, I suggest you draw that item first. You want the rest of your design to flow around that focal point. So I started by drawing my cross onto the rock. Once you have your main design drawn, you can go in and add more dangles. This way you won’t crowd your main design. Find a couple of points to attach your dangles. It kind of resembles the shape of a draping curtain. This helps with an oddly shaped stone. When drawing your dangles, it helps to envision that the bottom piece is heavy. If you want to add a loop, that’s fine. But add something to the bottom that seems to be pulling your dangle down. Play with the length of your zendangles. I like to combine long and short dangles. I also like to attach a couple dangles together. It’s fun to create with this technique. Think about the outside edges of your designs, because when you add color to your zendangle design and it will correct those extra thick lines. If you can’t make an open circle, just draw a dot. You can add your color to the center. Once you like the look of your zendangle cross rock, it’s time to add some color. I chose red and a couple shades of blue. 101 Tip! : When you’re coloring in a small heart shape, just color a “V” and it will look like a heart! If you accidentally color over your lines, don’t worry! You can always go back over lines once all the color has been added. 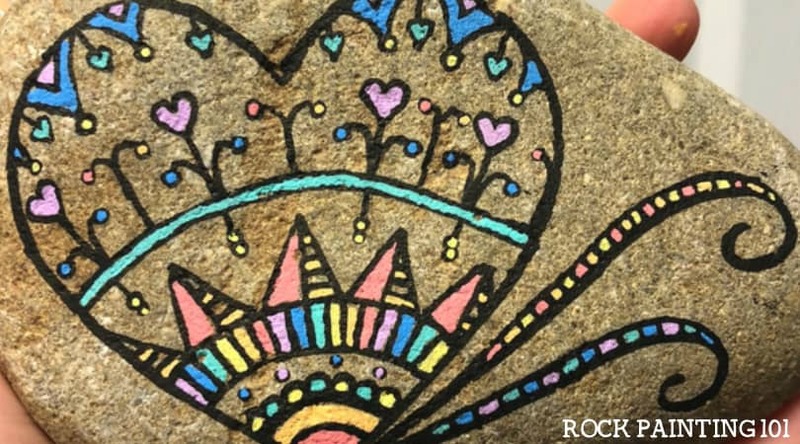 Pin this Christian rock painting idea to your favorite Pinterest board!